Since 2008, MovNat has been pioneering the path of reinstating the lineage of natural physical education. Today we’re proud to introduce our newest outreach: online coaching. We knew we needed to be more accessible, but we didn’t want to sacrifice the essential ingredient for success: quality coaching. After all, a one-size-fits-all online “program” isn’t the driving force of progress. Quality coaching from experienced professionals is what creates lasting success. And as a team, MovNat’s top trainers are extremely dedicated to teaching people how to move more effortlessly through their environment via the MovNat method. With only a dozen certification instructors and a few dozen Level 3 MCTs in the world, we needed a better way to have our most passionate, qualified coaches reach those that need/want it most. Through this platform, we’ll be able to reach more people and help them on a longer timeline. While nothing beats in-person coaching from a MCT, we have developed the next best way to have keen eyes and the best minds in the business supporting your training, no matter where you are located. The cost for MNOC will be $299 for the first month, and $199/month auto-draft after that (3-month minimum commitment, then month-to-month). Note 1: We are not a nutrition coaching service – we do not offer highly-detailed nutrition coaching/consulting at MNOC, as those services are outside the scope of our expertise and certification. Detailed consulting beyond some general dietary recommendations will be left to the discretion of the individual coach based on client needs and the coach’s qualifications and willingness (depending on applicable state law). We work with virtually any demographic: total beginner, experienced health/fitness professional, male/female, young/old, and students both inside and outside the United States. We have capable, experienced coaches who are able to handle any of these populations. 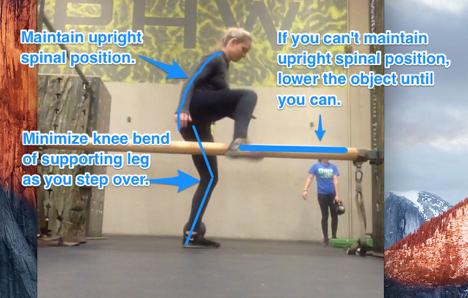 Not everyone will follow the same trajectory of practice or programming, but everyone will follow the MovNat method of refining the foundational movements to the best of their ability first and the programming model is based on that individual’s personal goals and level of training advancement. However, it should be clear that we coach for equalized natural movement capability first and aesthetic improvement and/or conditioning strictly as a byproduct of that performance. Additionally, we coach natural movement using the a “From the Ground Up” approach. Specialization cycles for specific strength, conditioning, mobility, can be coached after the foundation has been built – but we will refer out if your goals become so specific or far from natural movement that we think a more specialized coach can better serve you. 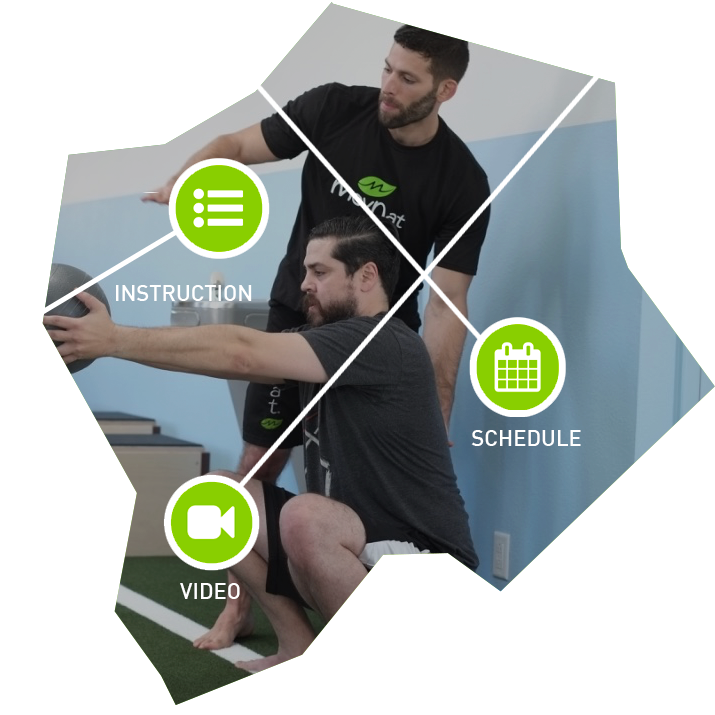 After submitting your questionnaire, you will be paired with a MovNat Certified Trainer based on demographics, personality, client needs, and coach availability. We take your coach assignment very seriously and will endeavor to select the best coach for you. You will then perform a diagnostic “test” workout that will give you and your coach a baseline to work from. 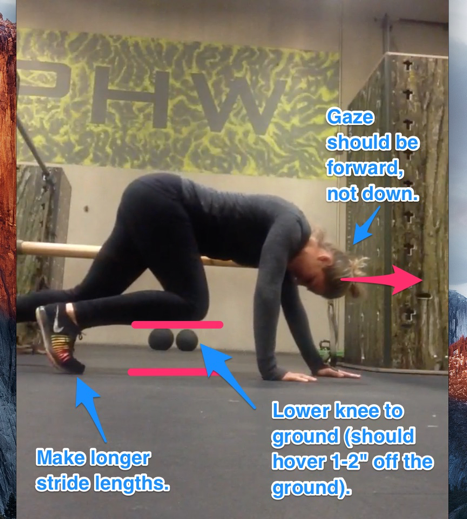 Upon completion of this workout (and technique review), your coach will begin doing all of your programming, online coaching, and video breakdowns. MovNat is proud of our team of coaches and staff. Each MCT (and each of their clients) will be on a “team” with four other coaches (and their respective clients). Each team has a “Team Leader” who will support the coaches on their team and help maintain MovNat’s standards and our quality of service. If a particular coach can’t respond to a student’s videos within 24 hours because of travel or work, then the Team Leader (or other coach on the team) will provide video breakdown and feedback to help cover, on occasion, for the primary coach. By working in teams, we can provide the highest quality in continuous/unbroken service to our clients. Our initial Team Leaders are myself (Danny Clark), Abby Clark, Kellen Milad, Craig Rice, Stefano Tripney, Eric Brown, and Bernd Reicheneder. Every coach and every client at MNOC will be on one of these teams. As we grow, we’ll add more teams and more team leaders. Ultimately, we believe we have developed an efficient system that will allow you to maximize your time with your coach and help you reach your goals faster than is possible training on your own. If you’ve been searching for help, but don’t have access to a MCT because of location, schedule, or cost, then MovNat Online Coaching could be the answer you’ve been looking for. Make an investment in your future by investing in natural movement this summer. You won’t be sorry. Our service will launch on June 6th, 2017. Get on our mailing list here and get access a full 24 hours before everyone else, or before we sell out. I have a few question about the on line coaching. I would like to more about how it works. Do you practice on your own? Then make a video? What if you don’t like it… I know there is a 3 month commitment…so, if you figure out it’s not for you you out 500 dollars? Hi Stevey. Thanks for inquiring. Please email me at danny@movnat.com for more specific info regarding the program. We’ll also be releasing a FAQ on the main page once we launch. If you are hesitant about whether you will like the program or not, I would suggest attending a 1 day Elements workshop first to familiarize yourself with the movements and the way we organize our practice sessions. Hi Rochel. You don’t need access to a gym, but does work. You need something to hang on, a 2×4 or something similar to balance on and a minimal assortment of weights (such as med balls, dumbbells, kettlebells, or sandbags, for example). Thanks for inquiring! Have you ever thought about including a little bit more than just your articles? I mean, what you say is fundamental and all. However imagine if you added some great graphics or videos to give your posts more, “pop”! Your content is excellent but with pics and clips, this website could undeniably be one of the best in its niche. Terrific blog! this certificate is on spanish to? i don’t speak english, is possible support in spanish ?